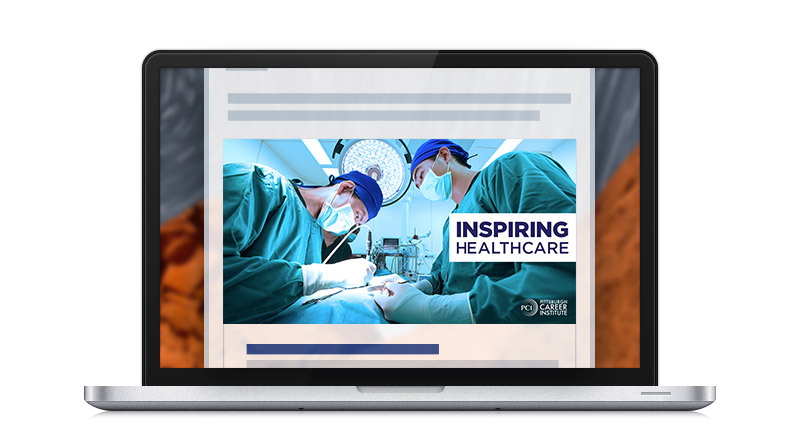 I worked with a small team to create a top-of-the-funnel campaign that we could utilize to gather leads for a larger retargeting campaign. 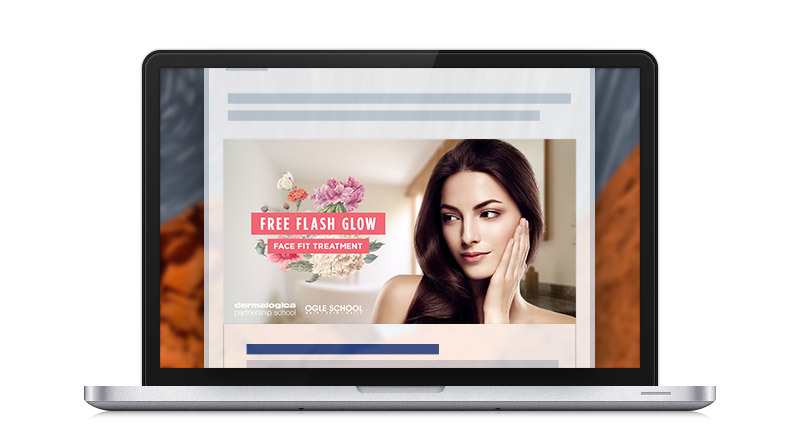 We conceptualized and executed an interactive ad experience using the Facebook Canvas API in which users can swipe between layers of makeup to create their own custom look. After coming up with a detailed plan of action, we traveled to the student salon where we set up a mobile photography studio that allowed me to capture the precise photos we needed to complete the effect. Niche Profit Machines is an online marketplace for ready-made niche businesses. A user can purchase a Niche Profit Machine and have everything they need to set up their very own money-making information business. I started this project with a custom logo and branding, then jumped right into the page designs which include a sales page for marketing, a "products" page to showcase the available machines for sale, a cart, miscellaneous admin pages, and a checkout page. This project was an offshoot of the Niche Profit Machines project. 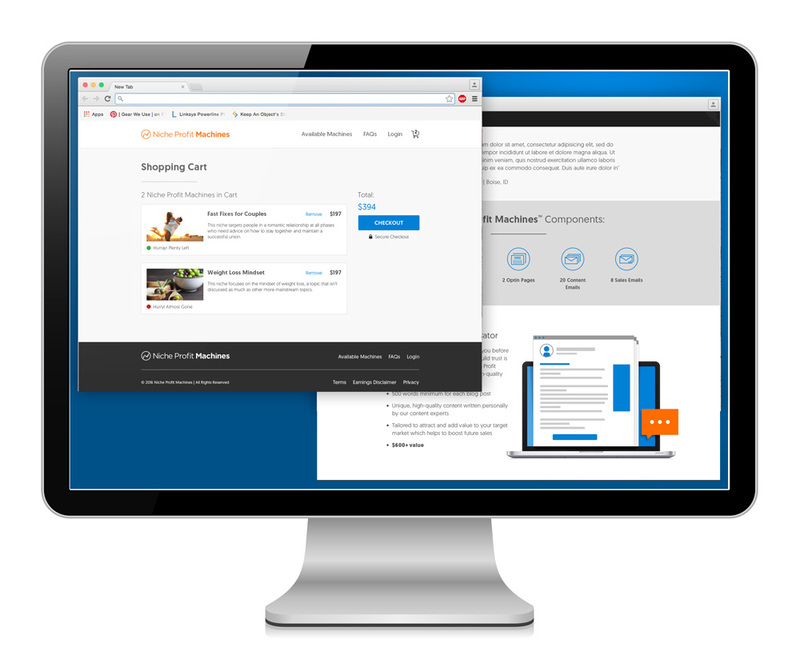 We needed ebooks to provide to our customers so they could customize them and list them as lead offers to gain subscribers to their own marketing lists. I designed each book using only stock photos, and covering an array of design styles from dog training, to survival, fitness, relationships and weight-loss. I conducted my own market research before each design to ensure the style fell inline with each book's competitive niche, all the while adhering to strict deadlines which only allotted a couple hours per design. I have experience designing to (and around) Facebook's strict ad guidelines. All of the ads shown here have been approved by Facebook and pass the 20% text rule. 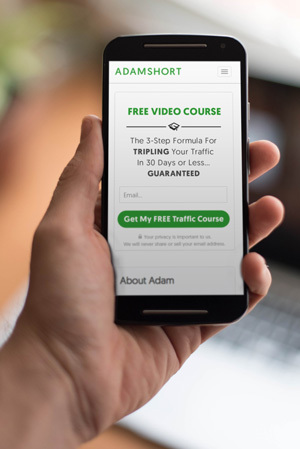 For many of the Facebook ads I had to work with a copywriter to get the text down to a minimum and then balance between passing Facebook's guidelines, getting our message across, and attracting the attention of potential customers. Sokratees is a niche t-shirt business that creates and sells t-shirts using Facebook marketing. They needed a brand and website built from the ground up, so that's just what I did. The name is a play off the ancient philosopher Socrates, so his likeness inspired the bold logo icon. It was important that the site be fully responsive, as a large number of customers access the site from mobile devices. I worked with a developer to bring the finished design to life. Click the images for a larger view. Freelance Writing Riches was an all-inclusive project, from the book cover to the logo design. I used every bit of my skills for this one. I shot the photos used throughout this project, as well as designed the website and other collateral such as CDs, DVDs, reports, and social media content. Here you can see examples of a few of the different aspects. Click the images for a larger view. AdamShort.com is an internet marketing blog geared toward helping people find and market to niche markets online. I started this project with an intensive photoshoot of the client. Adam Short is a prominent figure online as both a marketer and a mentor, so we needed his photos to reinforce this throughout the site. Once I had the shots I needed I moved onto the website design. Working with a web developer, I designed this fully responsive website which features a flowing blogpost layout, a strong opt-in area in the sidebar, and prominent social sharing to maximize exposure. Click the images for a larger view.